Last summer I had the privilege to cook a dinner with ingredients all from within 6 km. The fish came from Osoyoos Lake. 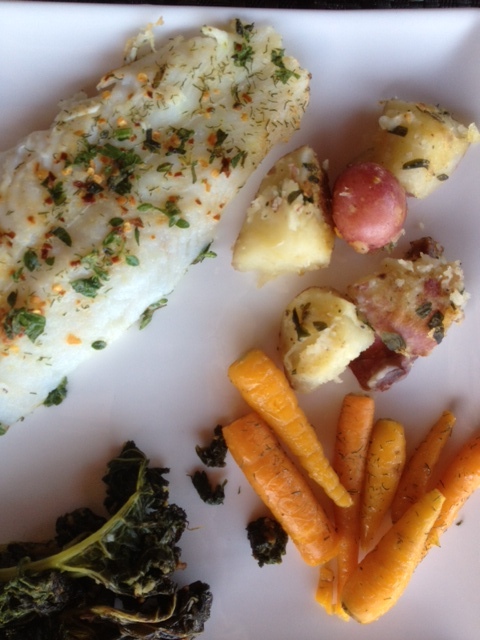 The carrots, kale, potatoes, and herbs came from our garden. The glass of wine was from a local winery. The raspberries for dessert also came from our garden. Try to buy local when available and buy what’s in season to create nutritious and delicious meals.